A rechargeable vape pen is a portable piece of medical of technology that heats cannabis oil. It emits a smokeless vapor that does not contain the toxic tars and carbon that come with traditional combustion. Vaporizers make smoking medicinal cannabis easy and discreet. 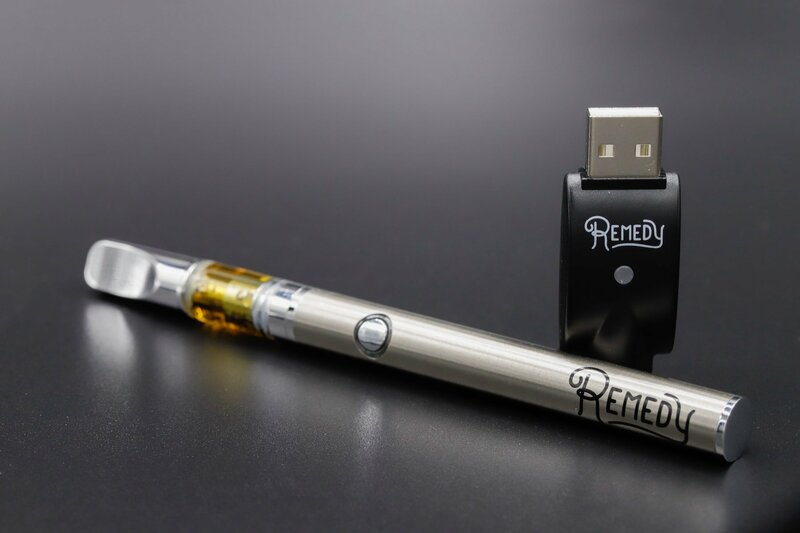 These pens do not contain propylene glycol (PEG) – only all natural terpene-based extract dilutants. The Remedy Vape Pens come with a USB charger, pen battery, and a vape cartridge. 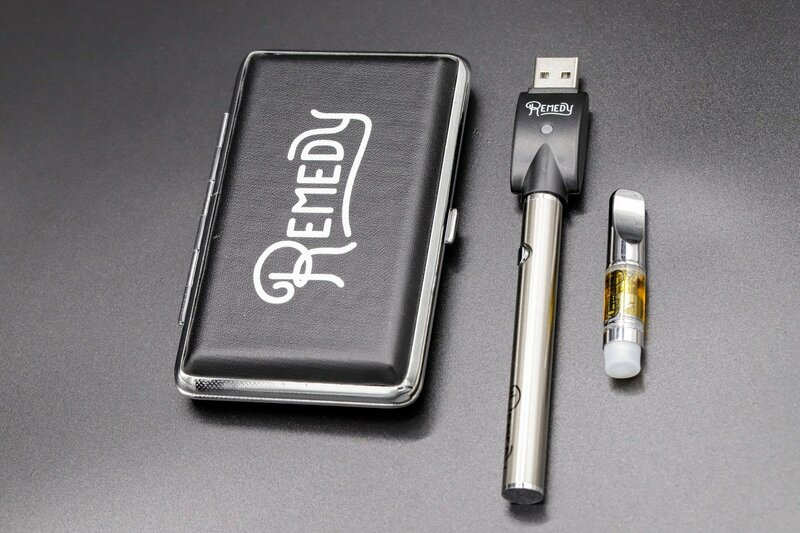 Everything comes packaged in a discreet and minimalist carrying case bearing the Remedy logo. 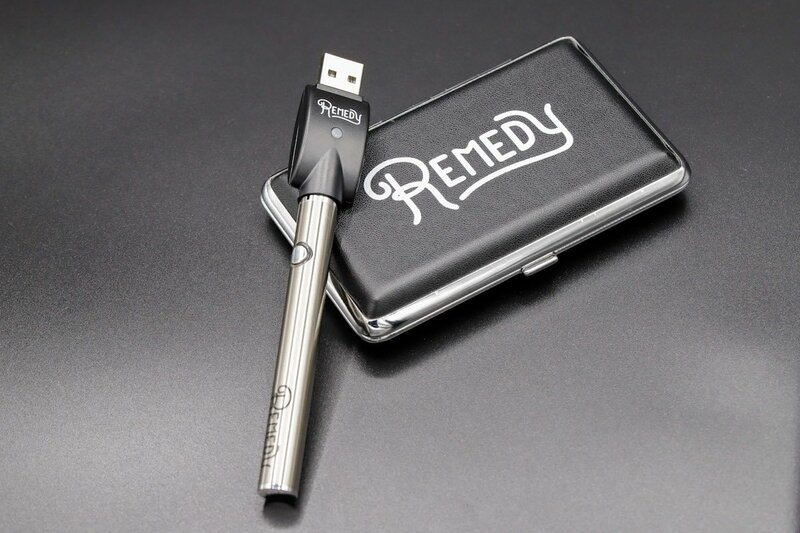 The rechargeable vaporizer pen emits virtually no odor until ingested and exhaled. You can smell the remnants of the flavor profile that you have selected. 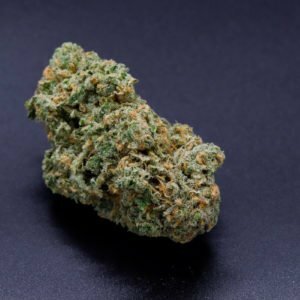 There are different flavors currently available, and each one is tart, strong, and true to the flavor you would expect from our expertly crafted extracts. 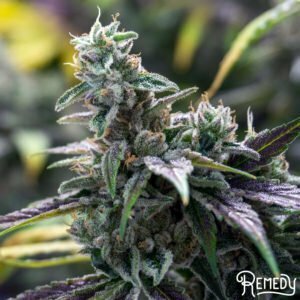 See all of our select strain flavors crafted from our premium cannabis flower. With various options available, you can customize your medication to your needs. Choose from 2:1 CBD, Sativa Blend, Hybrid Berry, Mixed Berry, and Tangerine.